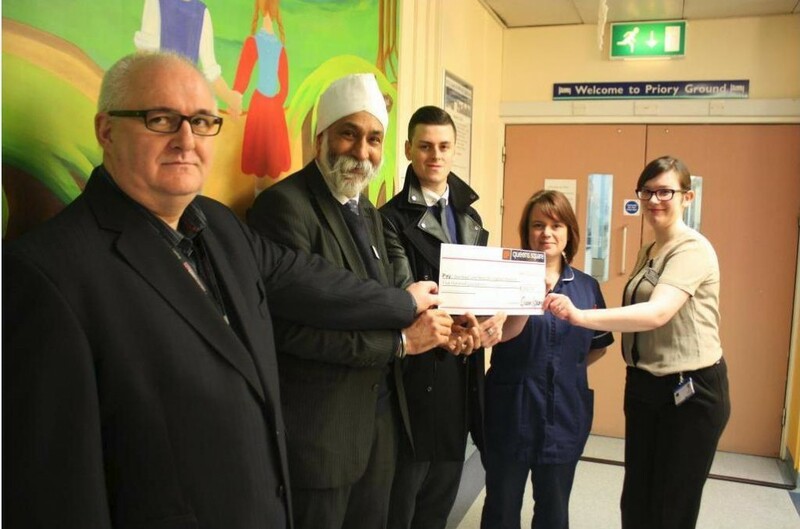 Queens Square shopping centre, the heart of West Bromwich shopping, is helping make wishes come true at Sandwell General Hospital with a donation of £500 to support a much needed project for the children’s ward. The donation – raised through the centre’s ‘Make a Wish’ Christmas campaign – will go towards the construction of an outdoor sensory playground which once finished, will benefit young children who have physical or learning difficulties. “There are many demands on NHS funds so as a charity we have to ensure that whatever we do has the greatest benefit for the children,” says Dr Sarindar Sahota, non-executive director of Sandwell and West Birmingham Hospital NHS Trust (SWBH) and chair of the Trust’s charitable funds committee. The donation is the start of a flourishing relationship between Queens Square and the hospital as centre manager Melvin Glasby is keen to help out further to ensure it reaches its goal. Melvin said: “The 2013 ‘Make a Wish’ campaign was our first official fundraising activity for the hospital and once the centre is fully refurbished we will look at how we can utilise the centre to increase our support. With work expected to start in late spring, the sensory playground will cost around £25,000. Lisa Taylor, ward manager at SWBH, said: “We have a huge amount of children coming through so we want to turn it into a positive experience for the children and make it a more pleasurable visit or stay. This means we are in need of equipment such as soft toys and other equipment for the children to take part in new activities. As part of the cheque handover, Melvin Glasby and operations administrator Aaron Powell took a tour of the facilities, along with SWBH’s head of fundraising Carly Jones and Dr Sahota. The SWBH Charity funds additional facilities to enhance the experience of patients and their families across the SWBH Trust area. If you’d like to support the work of the charity, get in touch with the fundraising team on 0121 507 5196 or email swbh.fundraising@nhs.net.